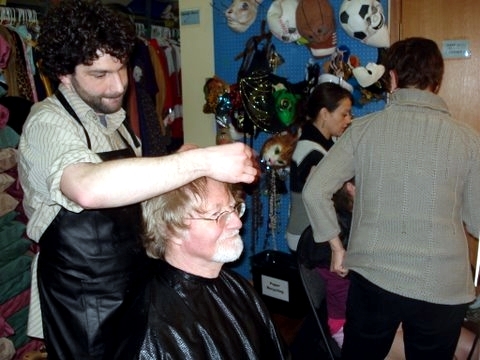 Brent is volunteering for the Gabriola Players, and will be assisting with the hair for their theatre production of the Odd Couple (female version). Hope to see you there! Originally, ‘The Odd Couple’ was written by Neil Simon in 1965 and became a hugely successful Broadway play, but has since been revised as a Hollywood movie, a television series, as well as other spin-offs featuring one or more of the same cast of actors. In the 1985 female version of ‘The Odd Couple,’ neat freak Felix Ungar (played by Jack Lemmon) and his easy-going and slovenly friend Oscar Madison (Walter Matthau), have been replaced by New Yorkers Florence Unger and Olive Madison (Jenn Feenan and Jean Wyenberg). The mismatched pair, together with their circle of long-time girlfriends, enjoy weekly get-togethers for gossip and a game of Trivial Pursuit, typically with uproarious results. Of course, there has to be a love interest, provided by Olive’s upstairs neighbours, the Spanish brothers Manolo and Jesus Costazuela, comically played by Paul O’Sullivan and Steve O’Neill. Mark the performance dates in your diary because this is a side-splitting comedy you won’t want to miss. March 20, 2011 in BLOG.